You had a cesarean and you are wondering if it’s safe to have a home birth. You want to know what the risk factors are, the benefits and your options. Why should you consider a home birth? And what if you have had multiple cesareans, can you still have a home birth? Everything you need to know about HBACs is right here. I had a cesarean section previously, can I deliver my next baby at home? Many women successfully give birth at home after having had a cesarean. Essentially, these women did their research and decided that an HBAC fits them best. In most places, a midwives’ official scope covers VBACs . What if I have had more than one cesarean? While you can have an HBAC after multiple cesareans (HBAMC), it might be challenging finding a midwife that will attend your birth. Most midwifery associations do not encourage HBAMCs. The uterine rupture rate for vaginal births after two or more cesareans (VBAMCs) is 1.5 percent. Note that this study included augmentations and inductions, which are associated with a higher risk of rupture than spontaneous births. I really want an HBAC but I am worried that if it doesn’t work I will feel like a failure. Is it worth trying? If your goal after labor is that when you hold your baby, you feel that you owned every decision leading to that moment, regardless of what type of birth you experienced. Many HBAC mothers talk about their fear of failure in their experiences, and over the course of their pregnancies come to feel that they have really given it their all, regardless of the outcome. An HBAC transfer is not a failure. In fact, it is the result of hard work and circumstances completely out of your control. HBAC mothers educate themselves and put in the physical and emotional effort throughout the pregnancies. Keep in mind that your midwife will work with you to be aware of all that you are doing along the way. 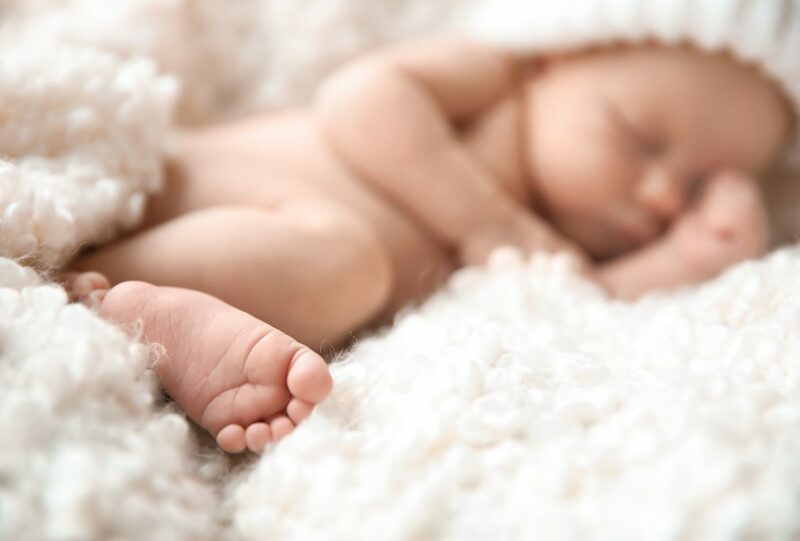 If you end up having a cesarean, hopefully the feeling will be very different from the previous one, because you will know with absolute certainty that it was a necessary procedure. Mothers who have repeat cesareans after a transfer from an HBAC, frequently have to grieve the loss of their dreams. However, the bodily knowledge that they used every resource available to them throughout pregnancy and labor lessens the grief. A home birth after cesarean (HBAC) can provide an empowering and healing experience for mothers. If you are considering becoming an HBAC mother, you are probably wondering if it is too risky for you to have a home birth. Every woman has her own risk factors to consider and HBAC woman are no exception. Just like any woman considering a home birth, you should gather information from a variety of sources to make an informed decision. Most HBAC mothers prenatally prepare themselves and tirelessly work to eliminate as many risk factors. Why should I consider an HBAC versus a hospital VBAC? Women who are interested in HBACs often speak about their previous labors in terms of what was missing. Often, they are looking for an experience based on respect for their intelligence, maturity, and education. They know what they don’t want. Home birth midwives specialize in translating all of the information from a mother’s previous birth experience into mindful attention that addressed their deepest fears and needs. What is the difference between HBAC and a hospital VBAC? A hospital VBAC includes continual monitoring, time limits on your length of labor, internal exams, and all the experiences that occur with any hospital experience. On the other hand, during an HBAC, you will have frequent intermittent monitoring with a stethoscope or Doppler, no IV unless medically necessary, no limits on the length of your labor, internal exams only when you ask for them, an environment where you are in control and the level of support you get are unique to your history and needs. How is a HBAC different from a standard birth? The work of an HBAC labor is different from a standard birth in that an HBAC is the birthing of a new child and a healing experience from a previous labor. Healing takes time, sometimes a lot of time. When you work through your fears, face them and then ease your way past them. Some of this work is done during pregnancy, but it is during labor that recovery and healing really happens. What kind of experience can I expect for my HBAC? HBAC mothers often have long labors. Time creates the conditions for the healing to occur. HBAC labors can be like climbing a slab of granite with nothing but sheer determination. As the mother approaches the time where the previous labor ended, there can be resistance and fear. The mother may slip back, and it is exactly at this time, that the midwife will attach a rope to her and provide the stability for a safe climb. This is a true miracle in the making. Your HBAC midwife holds a special place of admiration for you during these moments. The loving continuous presence of your team provides an environment of safety. The words of encouragement and faith from your HBAC midwife will enhance your belief in yourself and in your baby. As long as you and your baby are medically safe, your labor will be allowed to progress on its own, at its own terms and its own time. For physiological, emotional and psychological reasons, women simply labor better when they are relatively alone, in their own space, and where they feel most safe. This is normal and healthy, a characteristic of all mammals. In a study done in the United Kingdom, of 5,971 mothers who planned to birth at home, only 53 of them were planning an HBAC. Of the 53, 38 of them (72 percent), did have their babies at home without any of the major interventions that come with a hospital birth. Uterine rupture is when the uterus opens up along the old scar. Uterine ruptures can be catastrophic or minuscule. Catastrophic uterine ruptures happen when the uterus comes apart to such an extent that the baby is forced into the abdominal cavity. Catastrophic ruptures occur in 0.3 to 0.7 percent of all VBAC labors. Of these, 6 percent result in perinatal death. Most uterine ruptures are small and have no impact on the pregnancy. These do not require any treatment and are often not even noticed by doctors unless there is an ultrasound during labor or a repeat cesarean. Also, in a study of 17,000 women having VBACs, the minor uterine rupture rate was 1.1 percent. What are the maternal and neonatal mortality rates for HBACs? There are no records on HBAC mortality rates. On the other hand, for VBACs maternal mortality rate is 0.0038 percent, compared to the elective repeat cesarean maternal mortality rate of 0.0134 percent. Additionally, VBAC perinatal mortality rate is 0.013 percent and the elective repeat cesarean perinatal mortality rate is 0.005 percent. I want to have an HBAC, how do I find a midwife that will attend me? Where can I find the support of an HBAC peer group? A good place to find support is at the International Cesarean Awareness Network (ICAN), which is a non-for-profit volunteer-based organization. This group provides education for cesarean recovery and promotes VBACs.